Is Sri Lanka the perfect holiday destination? I have just completed a short tour of Sri Lanka, to check on the political situation and to build a knowledge store of good things to do and great places to stay. 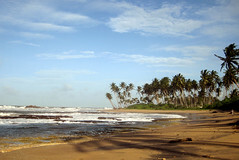 Sri Lanka is sometimes described as ‘Kerala Lite', a milder, calmer, more easy going place. I wanted to see if it was true. My tour began with a visit to the Pinnawela Elephant Orphanage which lies about one hour from Colombo on the road to Dambulla, Sigiriya and Trincomalee. The orphanage provides a caring home for around fifty abandoned or injured elephants. Each day they are taken to the river to bathe and to play. You can observe from the terrace of a restaurant just a few feet from the river. To see these majestic animals at such close quarters is amazing. At Anuradhapura religious architecture, carvings, sculpture and paintings have survived the elements for over 1,500 years. 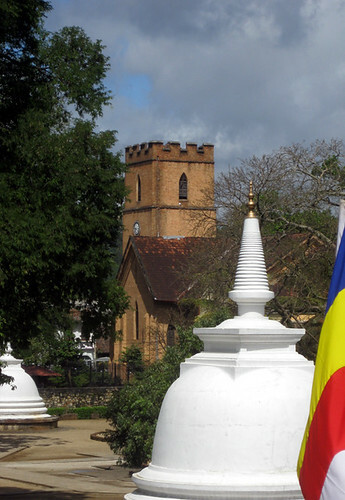 The ‘Ruwaneliseya' or Great Stupa is the oldest and most important among the many stupas and architectural marvels of this inspiring UNESCO World Heritage site. The principal shrine at Dambulla contains images of the Buddha, the bodhisattvas, gods and goddesses, kings, monks and demons. Covering 25,000sq ft the area of religious paintings is thought to be the largest in south Asia and the oldest in the world. It is a wonderful place to visit. The cultural capital of Sri Lanka is the lovely city of Kandy in the central highlands, and the centrepiece is the Dalada Maligawa – The Temple of the Tooth Relic, housing the jewel encrusted caskets in which the tooth of the Buddha resides. 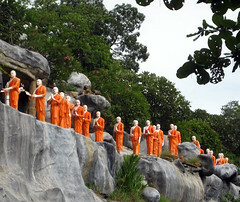 The temple monks perform their daily rituals to an accompaniment of horns and drums. It's raucous but reverent. 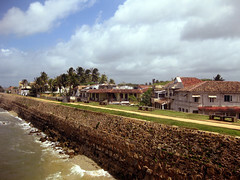 Galle Fort is a really great holiday destination. Not only does it have a wealth of heritage from the Dutch and British colonial periods, it also has some excellent hotels including Amangalla and Tamarind Hill, and for those on a budget, The Fort Printers. As an added attraction the Fort walls provide a free view of the wicket at the Test Match Cricket Ground. It was a short visit that has given me a taste of Sri Lanka and a good appetite for more. Yes, I think the description of Sri Lanka as ‘Kerala Lite' is accurate. It is peaceful and easy going, with luscious landscapes and a wealth of cultural treasures. Oh, and the roads are much better than in Kerala. Yes, a perfect holiday destination. Graham Ellison Roberts, MA; FRSA, 62, is the owner of a small independent travel company based in Yorkshire, England. Ellison Roberts Ltd specialises in tailor-made tours to Bhutan, India and Sri Lanka. Graham is also a consultant in public art and urban design and a Fellow of the Royal Society of Arts. 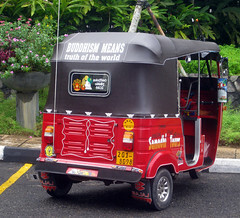 Article Source: https://www.articlesbase.com/ - Is Sri Lanka the perfect holiday destination?